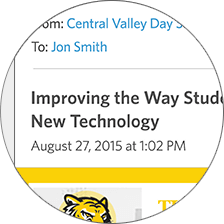 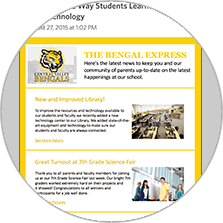 Use email to increase the connection students and parents feel towards your school and drive more participation. 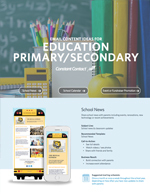 Our content ideas, examples, tips and success stories from other primary and secondary schools will show you how. 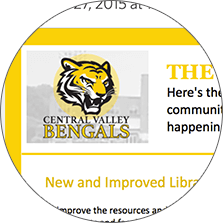 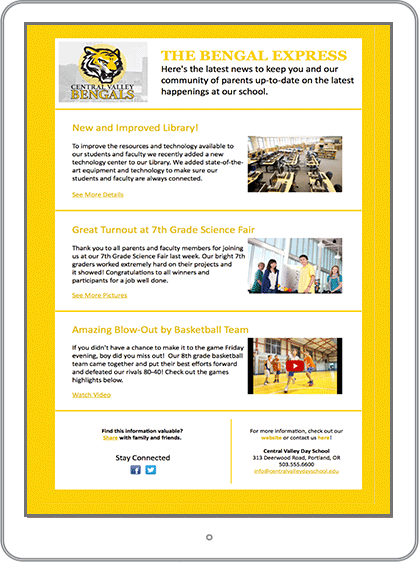 Share school news like renovations (e.g., new library, new cafeteria), new technology, or recent achievements to keep parents up-to-date and engaged. 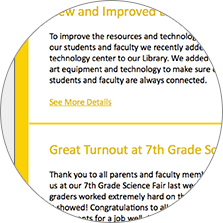 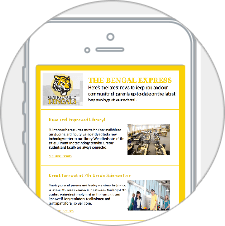 Share class news (like the 7th grade science fair or state test schedules) to keep parents informed and connected. 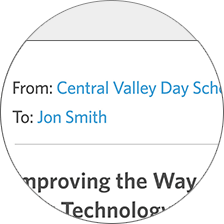 Help parents keep kids happy and healthy with wellness tips (e.g.,how to eat well at school or help kids get enough sleep) to build connections and email sharing. 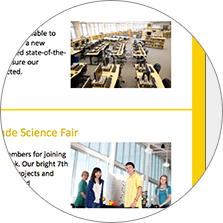 Promote upcoming events like PTA boosters, fundraising or sporting events or volunteer opportunities and mention the success of a past event to drive connection and participation. 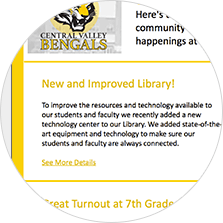 Share department news (i.e., upcoming theater productions, recap from sporting events or after school program updates) to drive participation.